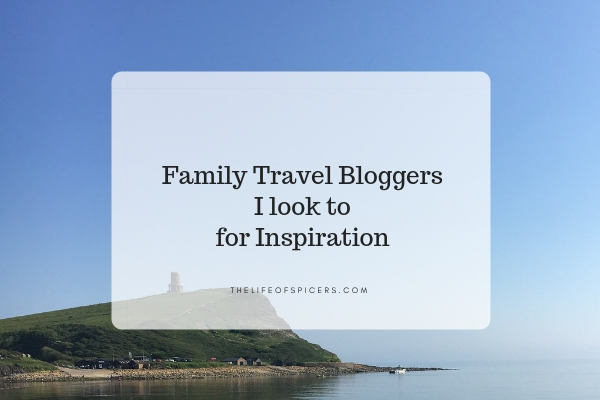 When I’m looking for new places to visit, or researching a new holiday idea, I like to look at other family travel bloggers. I’m a nosy person at heart and it’s great to check out other people’s adventures to find new and exciting places to visit one day. I know I talk about Disney World a lot on my blog, but there is so much more of the world I want to see. Seeing the places that other people have visited really inspire me to want to explore lots of other places in the world. Bucket lists for families are becoming more and more popular. 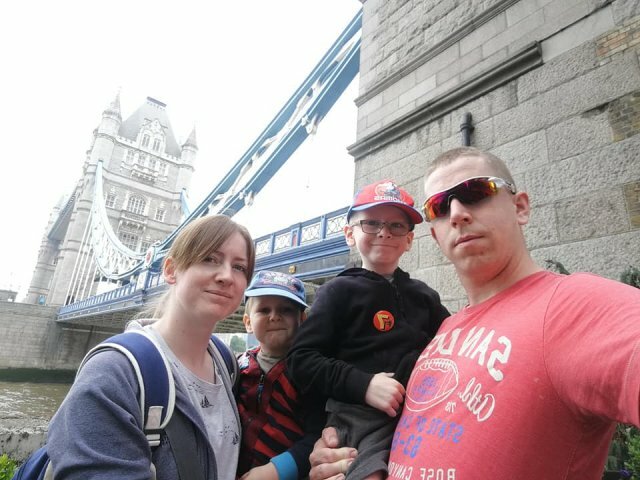 Suzy McCullough from Our Bucket List Lives started hers for her son and packed it full of adventures which she hopes he will be able to experience in life. as possible to her readers. Including ideas for days out that other people may not know about. Such as Creswell Crags in Nottinghamshire which can be seen in the photo. She also covers caravanning, weekend breaks in the UK and overseas plus travel tips and more. 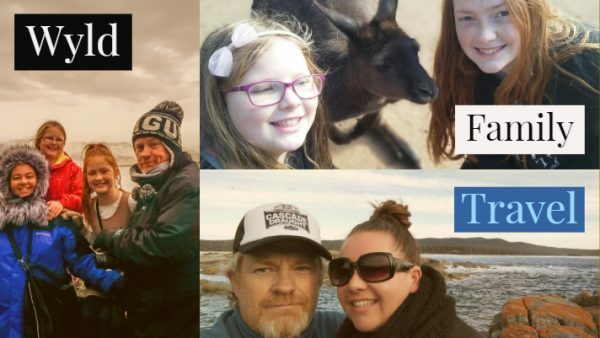 Wyld family Travel is Mark, Bec, Willow and Marley. They are all about exploring and experiencing affordable destinations and attractions. No 5 star no Michelin star for them. They are an Australian based family who travel both domestically in Australia and Internationally. On january 10 2019 they setting of on an 12-18 months journey crossing Asia and Europe. They believe in affordable travel so they can see more for longer. They don’t believe in staying 5 star resorts as that is for a holiday. They are into travelling experiencing history, culture and of course they love fun attractions such as theme parks as well. 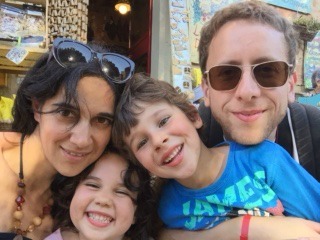 The team behind Learning Escapes is an international family of four: Marta is the author of the blog and her travel companions are her husband and their two children, a girl and a boy now 6 and 8 years of age. Marta is from Italy but moved to Ireland many years ago and this is where they currently live. They travel whenever school and work allow and have a passion for weekend city breaks: give them 2 days without school and they hop on a plane! Cath, of Passports and Adventures, is an Irish expat blogger living in Portugal. She used to be known as BattleMum but recently changed her name to reflect her blog more. She enjoys travelling with her 4-year-old son Alexander and her husband of eight years, nicknamed Mr Passports. She and her hubby spent 15 years in the UK before hijacking her parent’s retirement to Portugal. They’ve been in Portugal for a year and a half and enjoy the sunshine and beaches. 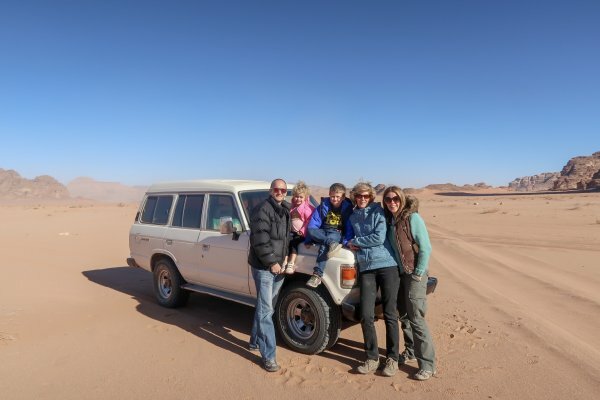 Passports and Adventures is a family travel blog, concentrating on travel with young kids. 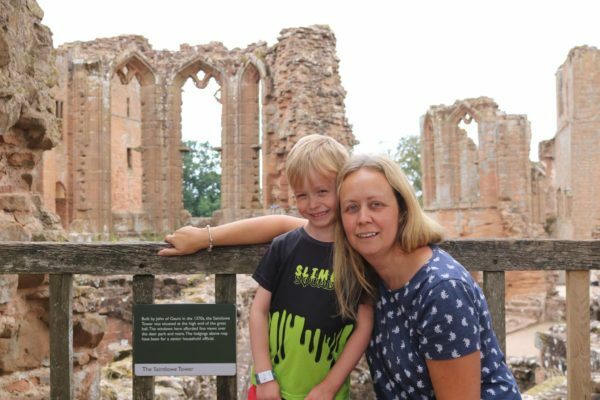 Since Cath’s son is only 4, she writes from her own experiences of travelling with him, something they’ve been doing since he was four months old. She believes many families put off travelling with their young kids for fear of the unknown. Their most recently planned DIY trip is their forthcoming trip to Finnish Lapland. Cath decided to book it all themselves and they have bagged themselves a 10-day trip for less than the price of a one-night Lapland package holiday from the UK. Want to know more, then read her post about visiting Santa in Lapland the affordable way. Nikki’s blog is a little eclectic! She writes a great deal about her trips to Walt Disney World in Florida as well as her frequent trips to the Peloponnese in Greece. She also writes lots of posts about things to do in York and the rest of Yorkshire. Nikki loves travel full stop and would explore everywhere if she could. She is very lucky to live near York though and has a real passion for the city and the all the fabulous things you can do there. Big Family Little Adventures consists of mum Mandi, dad Asa and their seven children, aged 5 to 20 Xene, Lochlan, Neva, Kaide, Eowyn,Tyrus and Viggo. They focus on holidays and days out for the larger family. providing hints and tips to make your journeys easier, your packing stress free and your family days out as enjoyable as possible. 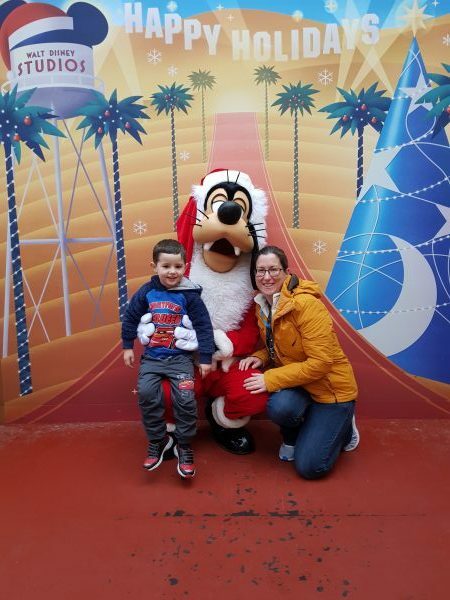 They enjoy all kinds of holidays from caravans at holiday parks to cosy holiday cottages, one of their biggest loves is Disneyland Paris, they have visited three times so far with more trips planned for the future. Disneyland Paris is the perfect place for a large family with so many different ages, it caters for everyone’s tastes in entertainment, food, attractions. They are better catered for dealing with larger families, with inter connecting rooms and larger tables at the food outlets (you’d be surprised how many restaurants in the UK struggle to fit nine on a table together!). Sam is a mum of two boys and writes over at Travelling With Our Kids. Sam’s eldest son (Big K) is 7 while her youngest son (Little K) is 3. Both boys are keen travellers who love to explore while travelling whether it be on foot, by bike or by using a form of transport. So, along with her husband and boys, Sam loves to try and visit new destinations each time they go away. 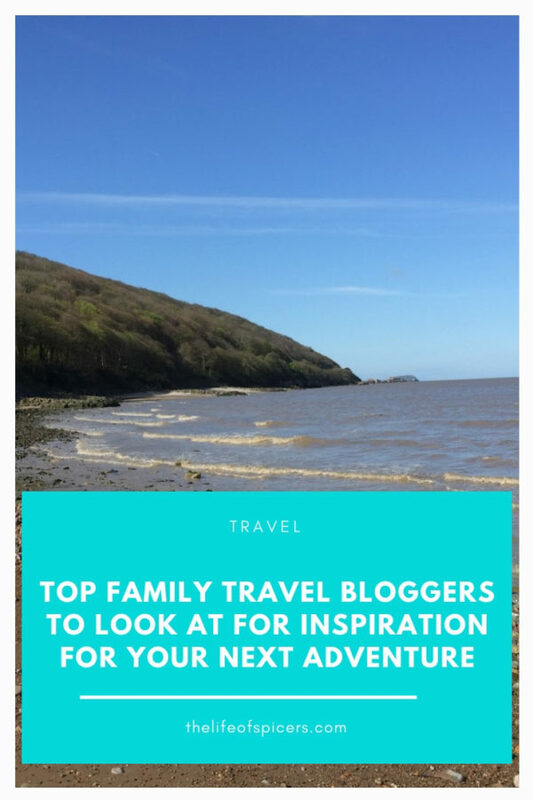 Sam covers various topics on family travel including trip reports, things to see and do while at the destinations they cover and also gluten and dairy free travel due to her boy’s food allergies. You can also find tips and advice to take some stress out of family travel. The family try to keep their travels as affordable as possible which is why they love to travel so much. From villa holidays to camping holidays all which are enjoyed by the family. It means her boys learn new things along with way including the basics of the local language to the history and culture of the destination they are visiting. In letting them experience difference destinations from an early age she hopes they will catch the travel bug just like her. Nicky writes at Go Live Young. They are a family of five, with three boys aged 10, 12 and 14, now living in South Wales, UK. Having recently returned from travelling around the world for nine months, they now travel as much as possible during the school holidays. They hope to inspire others to travel more and explore the world. Their blog, Go Live Young, is all about family adventure travel around the world, covering destinations from Bhutan to New Zealand, Fiji to South Africa and Jordan to Norway. More local destinations are also included within the UK. 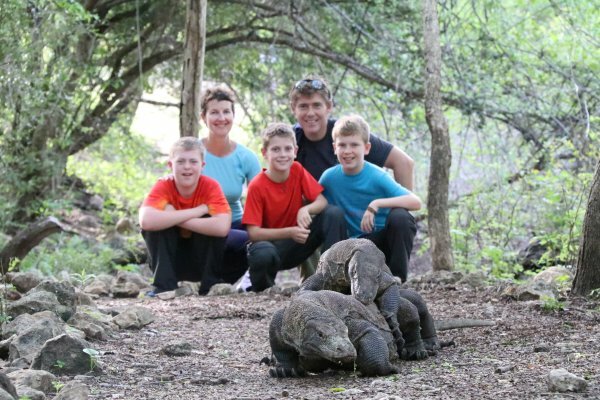 The travels of Go Live Young are exemplified by this post on Walking with Dragons: Taking a Trip to Komodo with Children. Jan Falcondale is a photographer and blogger living in North Yorkshire. She has a husband who is a frequent business traveller and two teenage daughters Fizz and Belle. The family enjoy remote road trips or self-catering holidays by the sea, often taking their bikes along for easy rides out. Their favourite destinations are France, the USA and the UK. On Jan’s blog Falcondale Life she gives lots of photography tips to inspire travellers to take better photos. 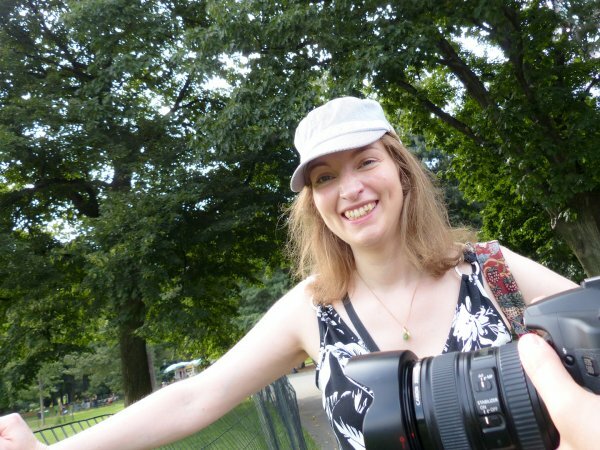 Jan is keen to share her experience with photography learners on the blog. Travel photography is something that every amateur tries out, and we all like to have great images to remember our holidays. Most people have more time to spend on this hobby when they are on vacation. Readers of Falcondale Life can get tips and inspiration from an experienced photographer. Jan talks about improving composition ideas, what works and what doesn’t as well as explaining location shots in simple steps. She shows that small changes can make a big difference to your photography. Whether you’re using a big camera, a phone or something in between, there’s something for every photography learner. Zoe Holland writes her family travel blog, Juggling on Rollerskates with the help of her children Daisy 9, Logan 3, Leon 12 & Morris 14 and husband, Matt. 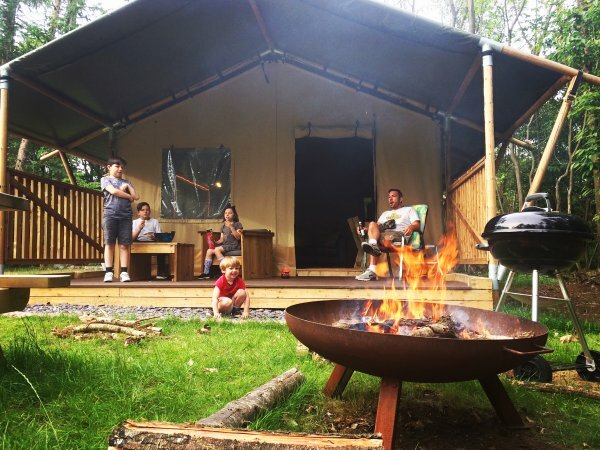 The blog follows their adventures in East Sussex and beyond with a focus on camping, glamping or anywhere that embraces the great outdoors! The Holland family love to promote the concept of spending outdoor family time together as they feel the experiences they share create precious memories as well as an opportunity to step away from digital distractions. As a large family with children ranging from tot to teen they have found that time spent outdoors is something they all enjoy. Their blog features a wide variety of interesting and unusual places to stay that are particularly suitable for families such as their stay in a futurist geo-dome in beautiful Basque Country. Married to a travel mad husband, Emma lives in Doha, Qatar with him, their 2 kids (who she refers to as Thing 1 and Thing 2) and a dog (the Original Thing). Emma started blogging when she realised she wasn’t alone in feeling that holidays were usually either unfulfilling for the parents or too hectic for the kids. Not just that, lots of her friends had confessed to feeling overwhelmed and stressed by the mere idea of family travel. She’d also noticed growing trend of people fed up with the Insta-perfect portrayal of family travel which we all know is a big lie! Emma loves variety and challenges. Her family’s travels include a wide range of destinations and styles – from backpacking to home rentals to luxury hotels. Her aim is to brings a refreshingly realistic and honest angle to the world of family travel bloggers. On her blog you’ll find a mixture of destination specific guides alongside more general guides for dealing with everything from planning to holiday illnesses to picky eaters. 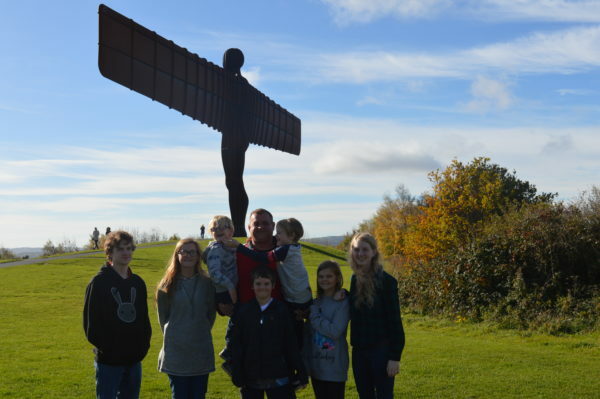 PackThePJs follows the travelling adventures of Tracey, Huw, Millie-Mae (12) and Toby (10). Their blog started out focusing on family cruise holidays, as this is an industry that Huw and Tracey used to work in. From there the blog diversified into days out and events, and then caravanning in the UK in their touring caravan called Betsy. Having toured a lot of Europe with their pet dogs (Jack and Izzy, the spaniels), they now travel much further afield too, ‘ticking off’ new countries each year. 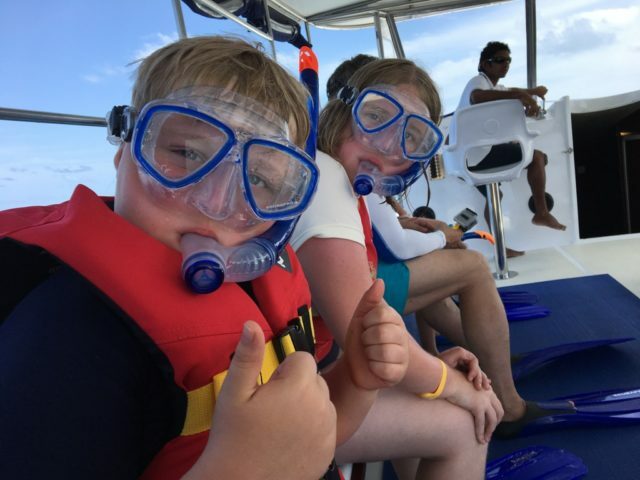 There’s still a lot of family cruise content, as well as camping and days out, but there’s lots of long-haul travel too now – San Francisco, Baltimore, Washington DC, Abu Dhabi, Dubai, and The Maldives are recent places PackThePJs has visited. The children are at an age – 10 and 12 – where they are learning so much about themselves and their surroundings. Their travels add a whole new layer of knowledge that they’ll never learn from a text book. Tracey and Huw love spending time with their children, and they can think of no better way than when on a travel adventure.